Photos Guidelines : www.FunDeliver.com, We Deliver Fun! What are the photos requirements ? Choose a photo that you absolutely love! Clear and candid photos work the best. You'll be happy with your custom figurine only if you're very happy with the original photo. Please upload your photos when you place your order, or E-mail your photos along with order number as attachments to Info@FunDeliver.com. 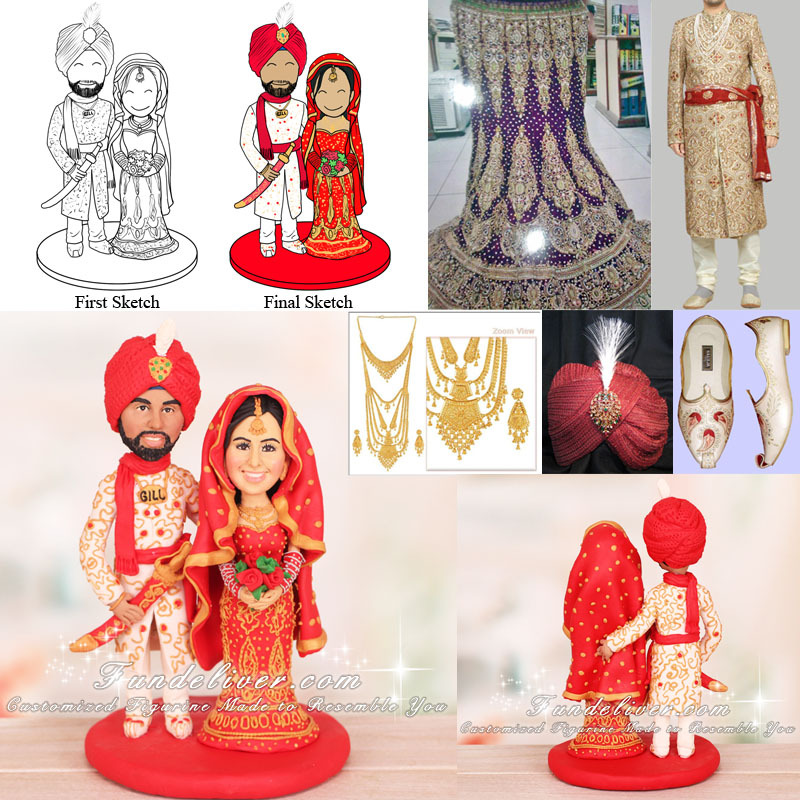 If you would like a personalized figurine of a person whom you do not have photos from the angles needed, simply supply as much information and as many photos as you possibly can. Our Sculptors and Artists have been known to work miracles when they need to! We highly recommend that you take the face photos with a digital camera expressly for this purpose. We need front facing, high resolution photos of the faces without any angle – like a passport photo with exact facial expression you want (most clients prefer smiling facial expression). Here are some suggestions that might help you chose the best photos. Tip #1. To begin a custom project or a personalized sculpture, we first need at least one photo of the person or subject you would like to create. You can take the following three head shots as reference. Important Notice: Front view photo is required, profile and three quarter view photo are recommended. Tip #2. Remember…the better the angles then the better the likeness will be, after all, we are creating a three dimensional figure. The tipped back pose is a typical mistake, especially with the guys. The ladies favor the tipped down pose....no, no! Tip #3. Be sure to take your head shots with the EXACT facial expressions you want. They are critical, we need the EXACT facial expressions to capture the muscle movement. The common mistake is you want a smile facial expression, but your head shots don't smile. Tip #4. Below we list some common mistakes when taking head shots, please try not to make these mistakes. Thanks. Tip #5. Don't forget to send us some reference photos about your outfits, hairstyle, flowers, jewelery or anything you want. We can not only replicate your face, but also all your outfits to match your event better. Please take the following picture for example. If the slots for uploading photos are not enough at our order form, you can place order WITHOUT uploading photos, instead email them to Info@FunDeliver.com along with order number.